Description Great ideas seem simple once discovered. 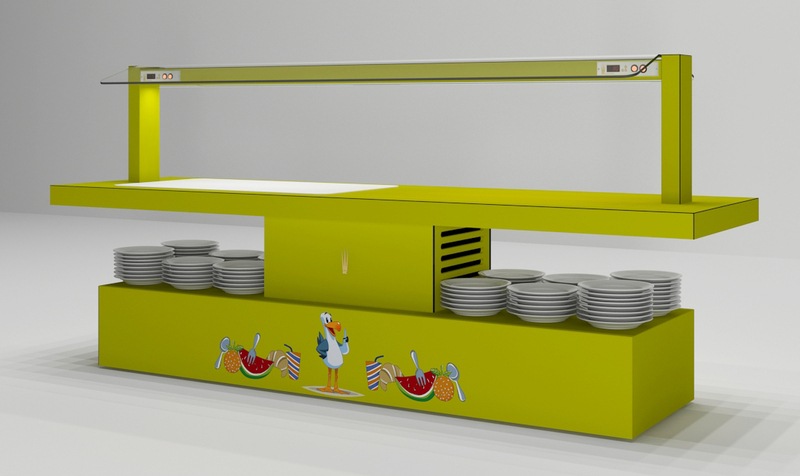 Pekes Buffet Table Series makes self-service within easy reach for children. 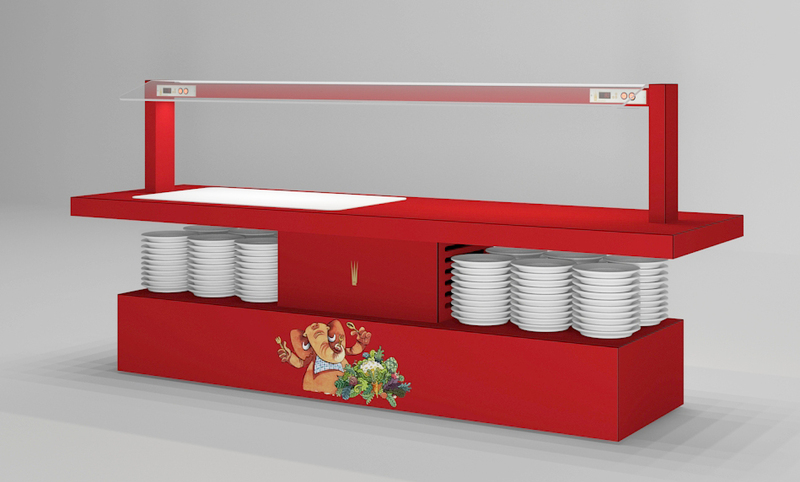 The Peke series is 70 cm high, mobile and true to the philosophy of King's Buffets regarding hygiene, quality and design. The Pekes series covers hotel's needs targeted at Family Tourism, and children's dining rooms. 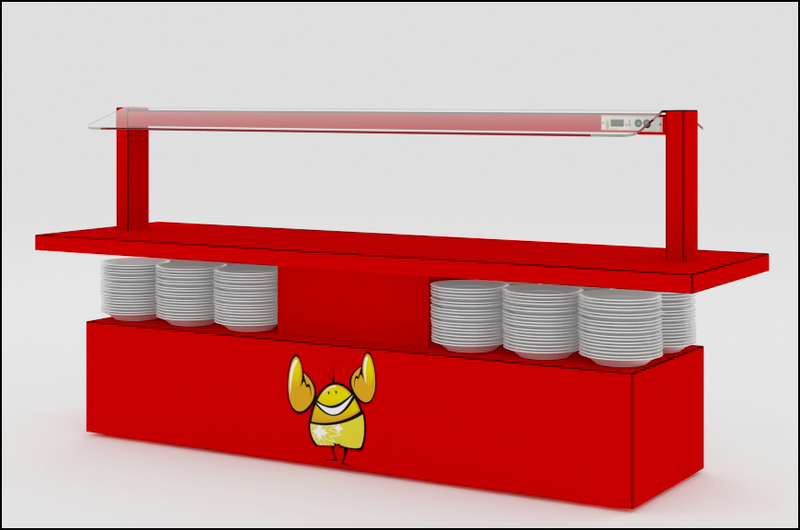 Designed for children between 5 and 12 years old, a special emphasis has been placed on creating a decor that appeals to those "smaller customers". 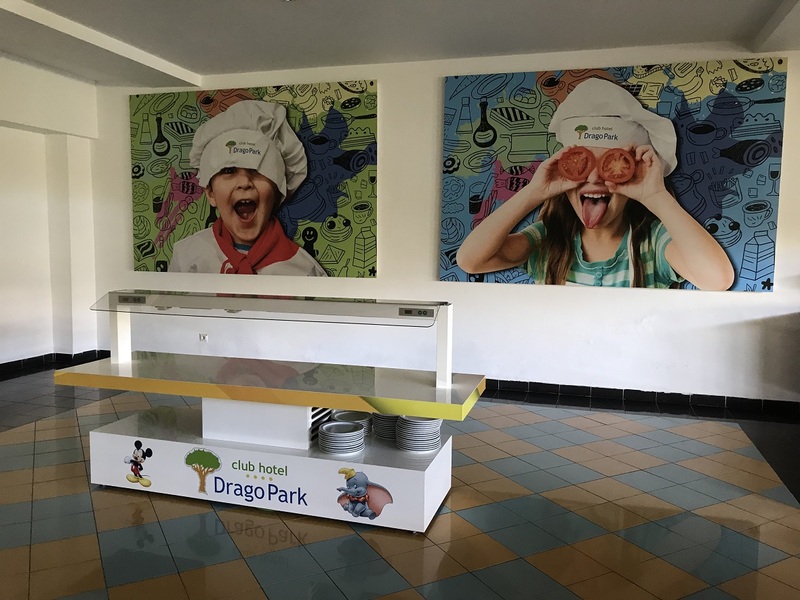 We have 6 of our own models but each one can be customised with different decorations or the logo or the hotel’s mascot if relevant. 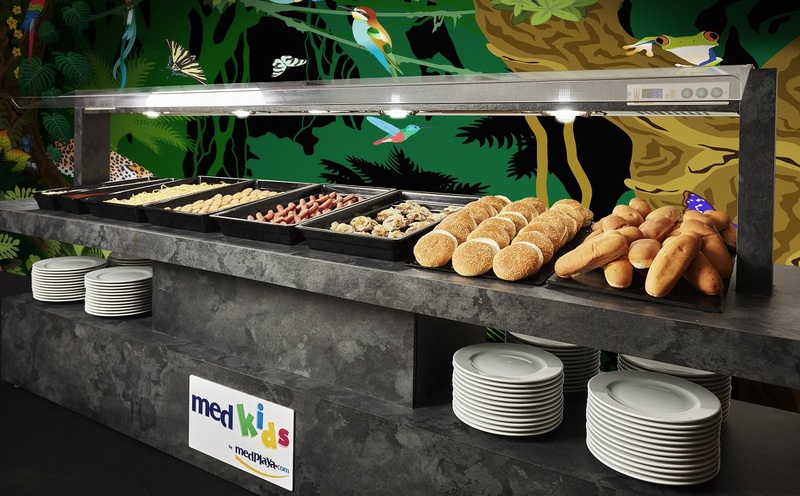 Besides its contact technology, this buffet has digital thermometers within sight, so that children get to know about the widespread use of the buffet table system. 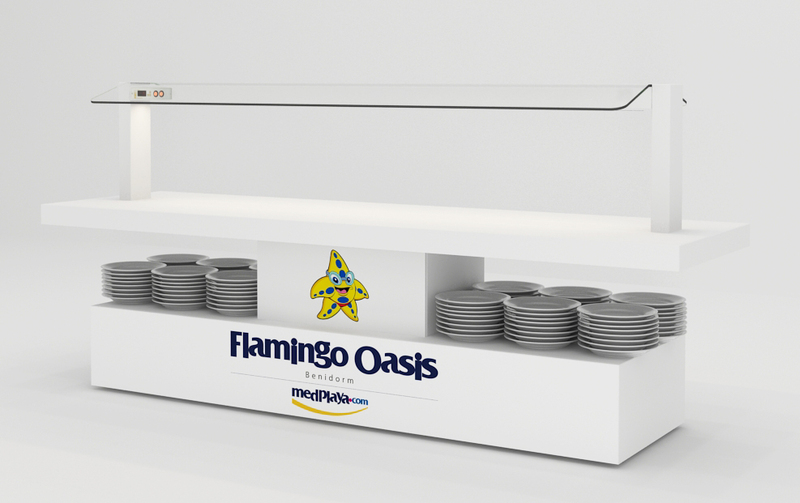 This model is one of King's Buffets’ latest developments, the Modular Series, and is the replacement for the already discontinued D-2001series, created more than 15 years ago. Structure : Tubular in stainless steel. Refrigerating unit: Hidden under the central framework. Total access. Wear Resistance: More than 5 years. Hot and Cold Technology: By contact. Does it come with a front plate shelf? : Yes, in its base. 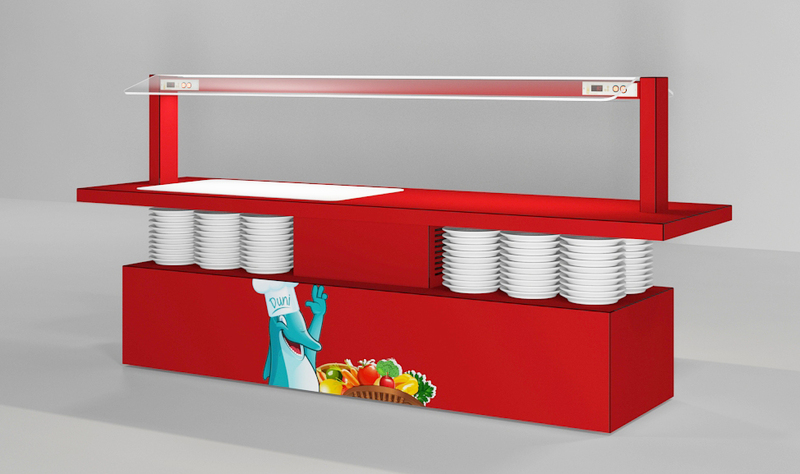 full buffet including mobile base with accommodation for dishes. 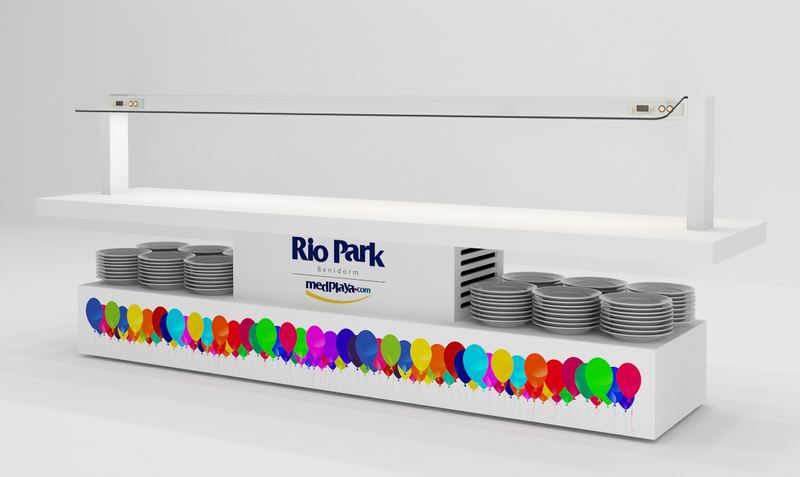 Buffet Station for Hotels of all categories. 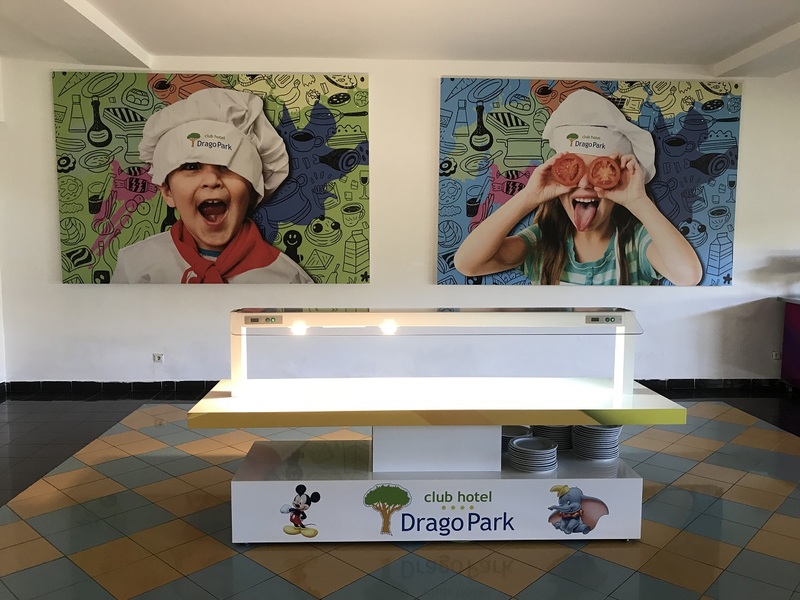 Buffet Table oriented for Family Tourism. 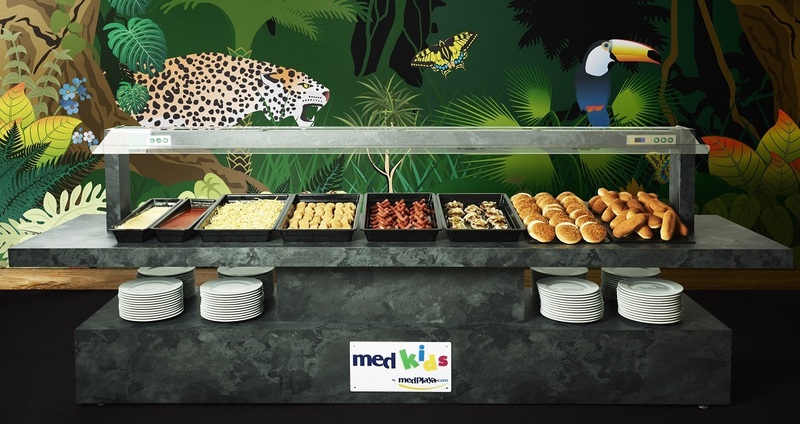 Special buffet station for all inclusive hotels. 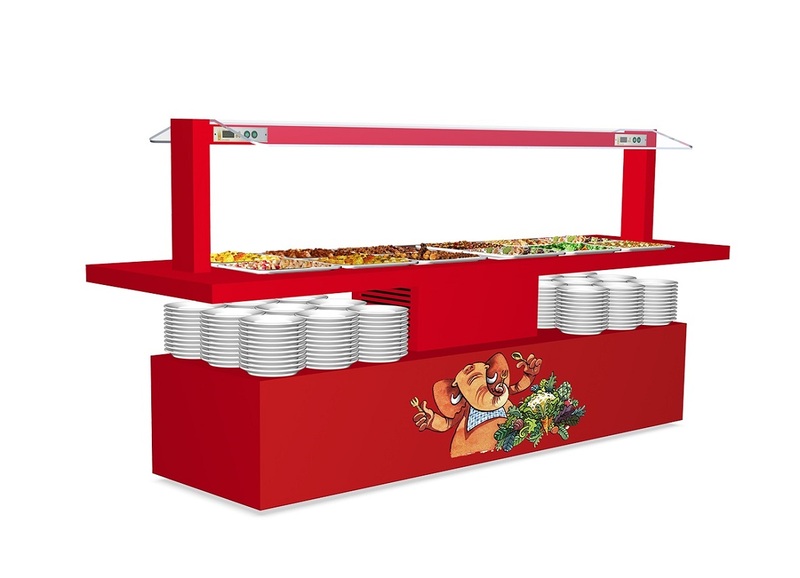 Ideal buffet cold and hot for schools and children's dining rooms in general. Delivery Time: To be agreed. Counter top : Compact. More than 200 models to choose from. Decoration - Veneers: Compact. More than 200 models to choose from +custom logo on vinyl.